Our Life Groups and Bible Study Groups are a great way to connect with others outside of the weekend services and extend the church experience. 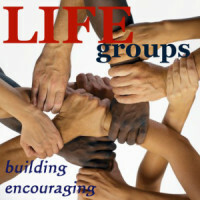 Life Groups are groups of people who meet regularly for Bible study, prayer and fellowship. Life Groups are where lasting friendships are made, where people do life together and where significant growth in Christ happens. It’s all about anchoring to Jesus, and we want to do that together in life-giving ways.